I would love to work with you to begin planning your organic family or baby portrait session! Contact me to begin planning today. My ultimate goal as a San Diego family photographer is to not only produce stunning images, but to also provide a luxurious, and stress-free experience. The experience includes a pre session consultation to discuss your hopes for the session, access to an exclusive client wardrobe collection for both mothers and babies, complimentary personalized styling so that we can create the perfect look for you, and optional professional hair & make-up services to make you look and feel gorgeous the day of your session. Click here for more details on the experience. Ready to book? If you would like to book your portrait session, inquire about availability, or have any questions at, please contact me here. Michelle of Michelle Popp Photography is a San Diego family photographer also specializing in newborn, maternity, baby, and wedding photography in San Diego, California, Carlsbad, Del Mar, and surrounding areas. Michelle is drawn to emotion filled images, beautiful light and soft neutral colors. 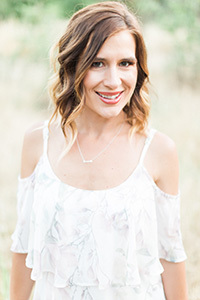 Her passion is to capture authentic beauty, family love, and connection in her imagery.